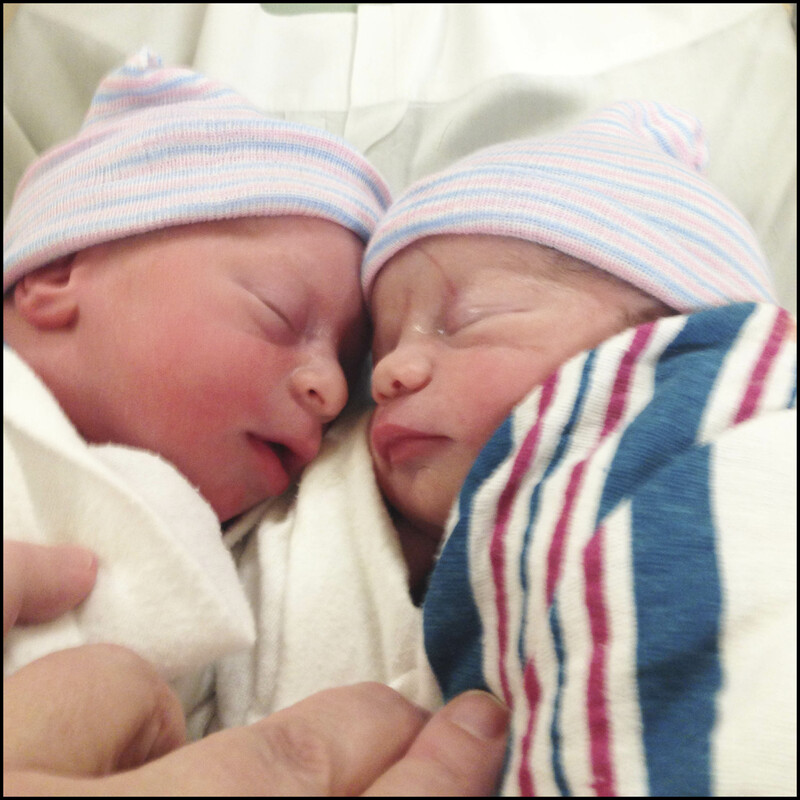 My children were born a year ago today, at 8:39 and 8:40 AM respectively. It’s hard to believe it’s been a year. If I sit down and think, I can still feel the way I felt that day – albeit slightly better rested now, thank goodness. I can still summon up the feeling of stinging anxiety in the center of my chest; there was a lot of not knowing what was going to happen involved in my delivery, because it was an early one. 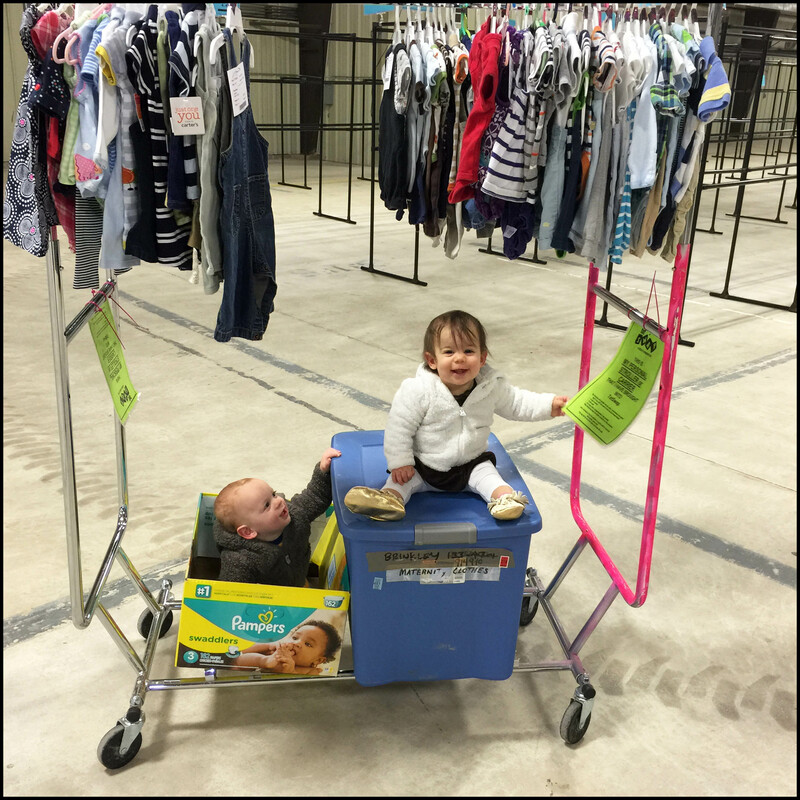 We dropped off clothes to sell at our local consignment sale last week, and it made me think about the fact that I didn’t know a lot about this sort of thing until after we had kids. In some ways, I wish I’d known earlier; I would have been a little more prepared for the realities of children’s clothing, both buying and selling. It’s yet another of those inner secrets of the Parenthood Club. So for today, I thought I’d talk a little about what I do with my kids’ clothes after they outgrow them, just as a general overview (where I get their clothes and what I look for when I’m buying is another post altogether!). Once your kids outgrow their clothing – and they will do so much faster than it seems possible – you’re faced with boxes and boxes of adorable tiny clothes to find something to do with before they overwhelm your closets and attic. If you’re planning on having more kids, of course it makes sense to keep some clothes. But if you don’t expect any more babies to come into your life, what do you do with all those clothes? 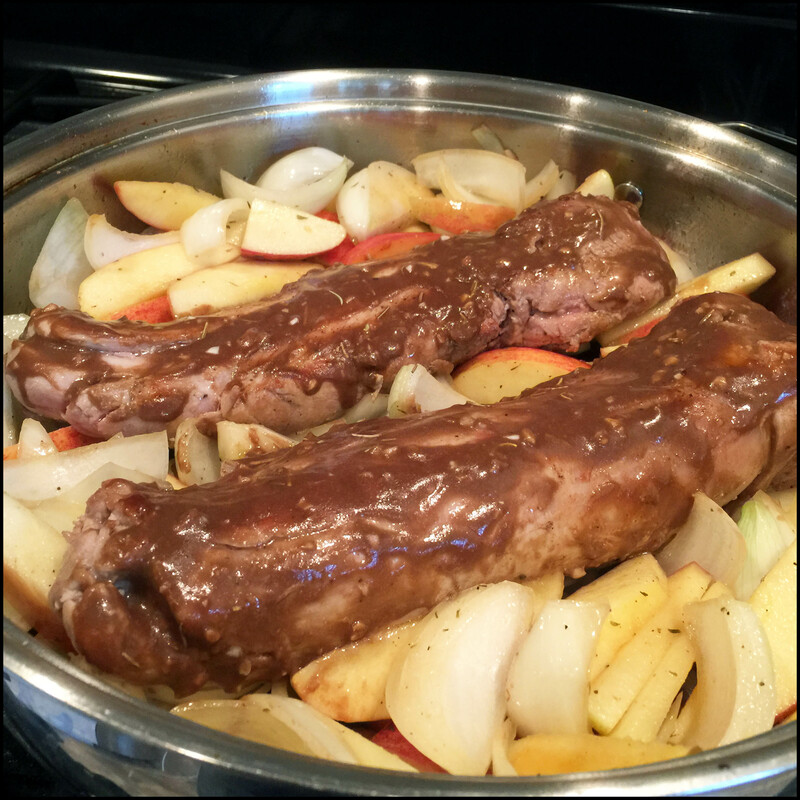 For years, I made pork tenderloin in a certain way. It was always good, but I struggled with the balance of keeping it from drying out while still cooking it and its veggie or potato underlayment all the way through. Last year, however, I stumbled upon a simple technique for cooking it, and haven’t looked back. It’s SO much better. The secret is very simple: sear the pork first, then let it sit while you sauté the veggies, then put it all back together and roast it at a very high heat for a short period of time. The pork comes out tender and juicy every time. And it’s a one-pot meal, which is a delightful bonus. I’ve had a lot of crises in my personal life lately that have made it very hard to meet even my tiny little “so achievable” word count goal. To some extent, I’m letting myself slide and not feeling guilty – the circumstances are extraordinary – but on the other hand, writers write, right? If I were a multi-published author with a deadline for my next novel looming and my livelihood (and my children’s!) depended on it, I’d write that sucker no matter the distraction, wouldn’t I? If my fingers were broken I’d invest in narration software. So that’s the mindset I want to develop. Write no matter what, even when it’s hard. To that end, I’m going to participate in some social media accountability events and public challenges; it’s always easier to do something with friendly bystanders egging you on and friends doing the same thing you’re doing and sharing their struggles. I’m going to dip my toes into public accountability with my first event this week: the #MRWChallenge, sponsored by my own writers’ chapter, the Maryland Romance Writers. (Full disclosure: I’m on the communications team and definitely had a part in planning this event, LOL. But if you can’t serve yourself…) And yes – this is open to everyone, and if you’re a writer, I highly encourage you to hop on Twitter and participate on Wednesday at 7PM EST. Check the @MarylandRomance feed and use the hashtag #MRWChallenge to report your goals and progress, and check in with other writers trying to get that writing boost from a social challenge. This week’s MRW Challenge is simple – it’s just participation, so you’ll set your own goal and work away. For me, it’ll be a ‘sprint’ – an hour of solid writing. For others, it may be editing, revising, plotting, scheduling, reviewing… anything. Later challenges will be more specific, and may include writing prompts, pitch writing, synopses, and more. We’ll all support each other and hold up the magnifying glass to make sure we’re getting the work done. I need it. Challenge accepted! My husband really, really wanted me to title everything about this party ‘We Built These Babies.’ I refused. You’re welcome. We’ve decided to go with a construction theme for the babies’ first birthday party – mostly because we were making the decision during a week when we began to refer to them as the demolition crew, because they destroy EVERYTHING. Two babies at once means that a lot of toys that would be fine for one active child just get demolished instantaneously. We’ve learned to live with it. 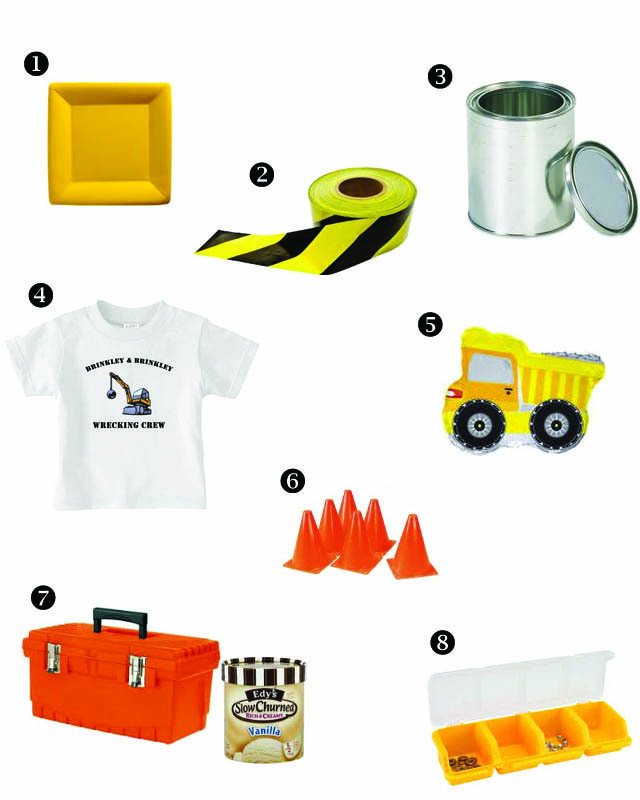 Without further adieu, here are the basics we decided on for our construction-themed birthday party – everything but the cake. The cake is a surprise. I was told in no uncertain terms that I’m not allowed to post anything about the cake until after the party. It’s possible that in introducing my overachiever husband to the world of Pinterest parenting, I’ve created a monster. When the time draws near to start babies on solids, you’ll start getting a lot of questions about how you’re going to do it. You’ll also get a lot of opinions about how what you think is wrong. Just some fair warning. I hadn’t heard about baby-led weaning until I started doing research on introducing solid foods; I was concerned about the constipation factor of baby cereals, which is the current “standard” method of introducing solids at the very beginning. Quite frankly, poop is a motivating factor in many baby-related decisions in my life. I won’t go into a ton of detail here; I’m not any kind of professional anything, and there are a vast number of great resources for any type of solid food progression you choose. Here’s what my understanding boils down to.